The October 15 deadline agreed to by Turkey, Russia and Iran for Turkey to evacuate all heavy weapons and jihadist groups along a 15-20 km demilitarised demarcation line around Idlib and its rural area, including rural Latakia, has come and gone. Nevertheless, despite serious Turkish pressure on jihadists to leave Syria or move out of the demilitarised zone to spare Idlib an imminent attack by the Syrian Army and Russia, jihadists remain in their barracks. All the same, Damascus and Moscow consider the time unpropitious for a large attack on the city. Thus, a further delay has been accorded to Turkey to continue its efforts. Any attack on Idlib, the first US line of defence in Syria, has been postponed. But why is this the USA’s first line of defence in Syria? Simply because Syria has been freed and only the regions of the northern cities of Idlib and al-Hasaka (and a small part of Deir-ezzour east of the Euphrates) are still occupied. In September, Russia, Iran and Syria decided to liberate the entire Syrian territory, starting from Idlib and ending in al-Hasaka where the US occupation forces are based and unwilling to leave anytime soon. This is why Washington sees Idlib as its first line of defence and this is why the US wanted to hit Syria under a false pretext of the “use of chemical weapons” to prevent the liberation of Idlib by Damascus forces. Moscow and Damascus understood US intentions and decided to call off all military preparations in order to prevent a US attack on Syria. The date set for a wide scale attack on Idlib was abrogated; Syria and its allies decided to stand down and give Turkey the opportunity to try and stand in between the belligerents. This decision helped avoid a possible confrontation between the two superpowers, Russia and the US, with their militaries facing each other down in the Levant. Meanwhile, Syria’s allies prepared three lines of defence: the first facing Tal el-Eiss, the second at “the apartment 3000” and the third at the entrance of the city of Aleppo. They had received solid intelligence that al-Qaeda and other jihadists had gathered around 10,000 men and were preparing to launch an attack against Aleppo. The Russian-Turkish deal stopped the imminent attack. Turkey was given an extension and an unspecified span of time to control Idlib. Syria and its allies will wait for the most opportune moment to attack the city if the US backs down from war in Syria and circumstances become more congenial. Sources close to decision makers in Syria said: “There is no doubt the entire Syrian territory will return to the control of the Syrian government, including Idlib and al-Hasaka. The Qunietra and Nasib crossing between Syria and Jordan has reopened. Soon the borders between Syria and Iraq will re-open now that there is a new prime minister in Iraq”. “The Iraqi Foreign Minister Ibrahim al-Jaafari visited Syria not only to reopen the border crossing between the two countries but also to bring Syria back to the Arab League. Iraq believes that Saudi Arabia and its allies are no longer willing to continue the war in Syria and they have stopped financing jihadists and rebels. Syria will deal with the two occupiers (Turkey and the US) and end this war”, said the source. The first step is expected to be made official by Amman, willing to resume its pre-2011 relationship with Damascus by sending its diplomats to Syria in the coming days. According to the source, “the Jordanian step has been approved by the Gulf and western countries in the hope of detaching Syria from Iran”. “Those who open their borders and airports to jihadists from all over the world to come and fight in Syria, and those who emptied their prisons to send all inmates to establish a terrorist platform in the Levant to create a fail state have decided to change their policy and re-establish diplomatic ties with Damascus. We don’t oppose this move but we won’t forget because we have paid a very heavy price due to these “old friends” who destroyed our country”, said the source. “There is no doubt,” – continues the source – “that the number of allied troops has been dramatically reduced in Syria. Iran has reduced its costs and reduced to a minimum the presence of its allies on the ground (Afghan, Iraqi, Pakistani and other). However, no one can force Iran to leave the Levant in exchange for financial support to rebuild the country. 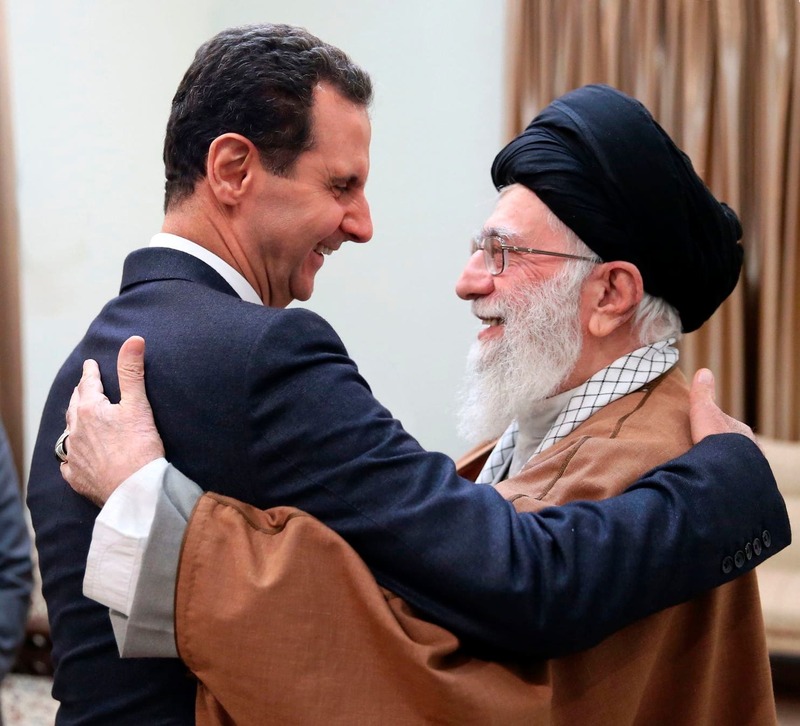 Only idiots believe we can exchange the relationship between Syria and Iran for tens or hundreds of billions or sell the Golan Heights for any price. The Syrian-Iranian strategic bond is much stronger than what people can imagine”. Middle Eastern leaders and the Arab League are prepared to receive back among them the Syrian president Bashar al-Assad as they acknowledge that the regime change operation has failed. Turkey has been given more time and the liberation of Idlib has been postponed. The jihadists and rebels are not yet convinced that the war is over and haven’t yet realized that no country will supply them with weapons any longer. They are only buying time and their fate is sealed. In al-Hasaka Kurdish militants will come to understand that the US forces can’t stay for long. The US base at al-Tanaf will be abandoned mainly because the al-Rukban refugee camp – 80,000 to 90,000 refugees supplied by the US and surrounded by the Syrian and Iraqi armies – has become a burden and because the al-Bu Kamal crossing will reopen soon. It is time for the Kurds to understand that they can only survive by coming to terms with Damascus.